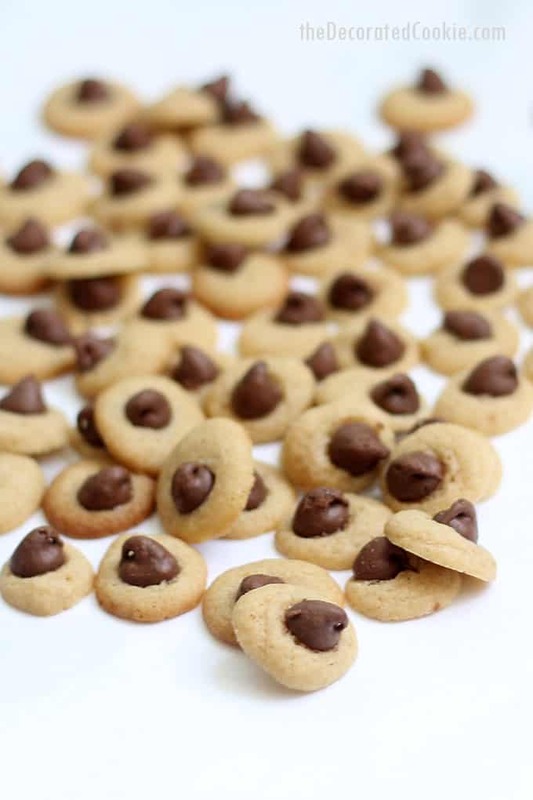 Mini chocolate chip cookies are the sweetest, cutest treat ever. Mini chocolate chip cookies are even smaller than mini. 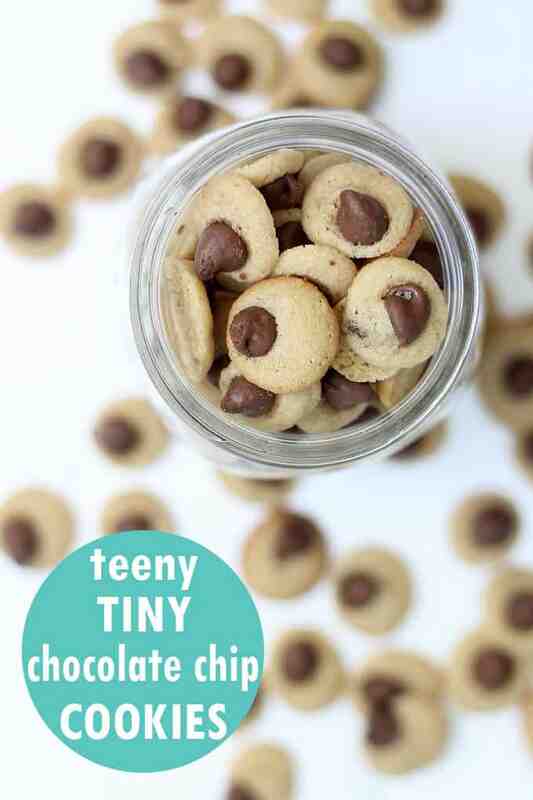 They are teeny tiny mini-mini chocolate chip cookies. Micro mini. I made these for my mom for Mother’s Day, even though I will fully admit she is the master of the Nestle Tollhouse chocolate chip cookie recipe making. Because of her mastery, I had to make her cookies with a twist so as to not totally mimic her style. Also, the way I see it, mini chocolate chip cookies are so barely-there small and snack-size, it’s like they have no calories at all. 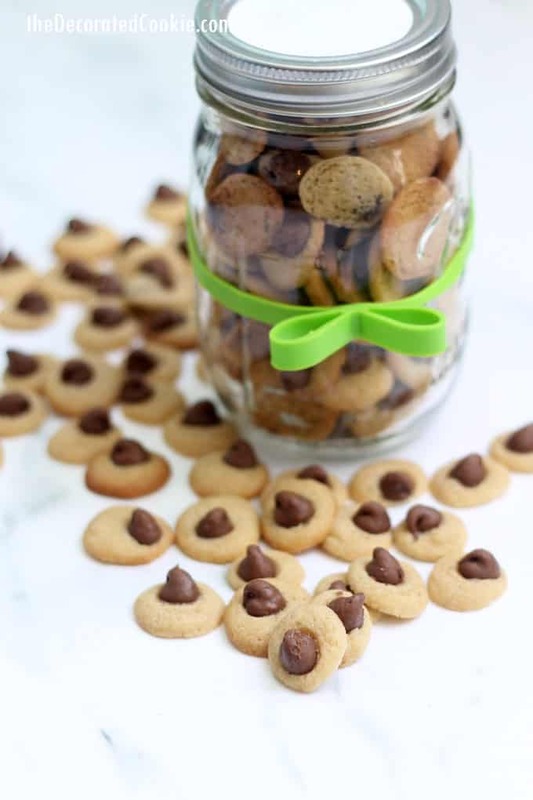 Chocolate chip cookie bites are the best thing ever. Here, I use a disposable decorating bag to pipe all of the cookies. I find it went very quickly, even more quickly than spooning dough on a tray. Because the chocolate chips would have clogged up the bag, I added those afterwards, one per dot of dough. If you like these cookies, try these Oreo chocolate chip cookies. Or, adjust the recipe with shortening to make the best chocolate chip cookies. 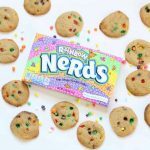 You can also turn chocolate chip cookies into zombies. *Here, I used the Nestle Tollhouse chocolate chip cookie recipe. 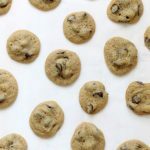 Line baking trays with parchment paper or Silpat and preheat the oven to 375 degrees F.
Prepare the chocolate chip cookie dough WITHOUT adding the chocolate chips. 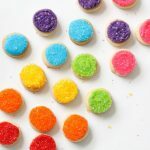 Scoop some of the dough into the disposable decorating bag and close tightly with a rubber band. Snip 1/2-inch from the tip of the bag. Pipe dots about 1/2-inch in diameter on the trays, about an inch apart. 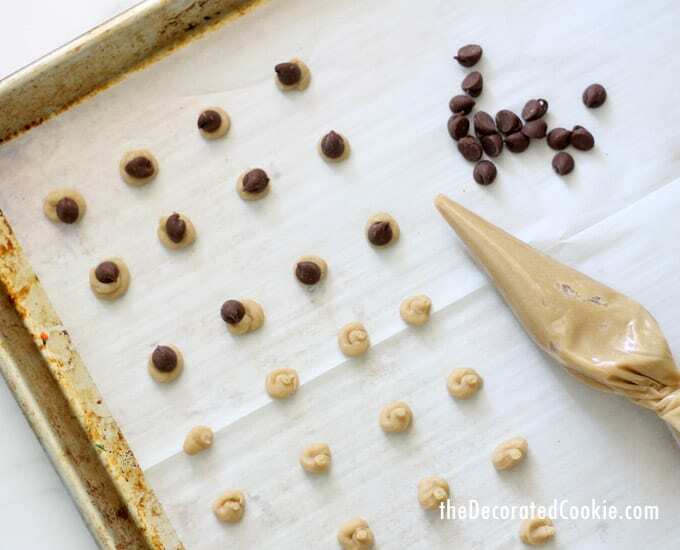 Add a chocolate chip to each dot. Bake until the edges are golden brown, 6 to 8 minutes. 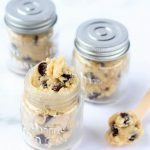 These cookies are so cute and tiny, I filled a mason jar to the brim (with plenty of cookies left over for my own kids). 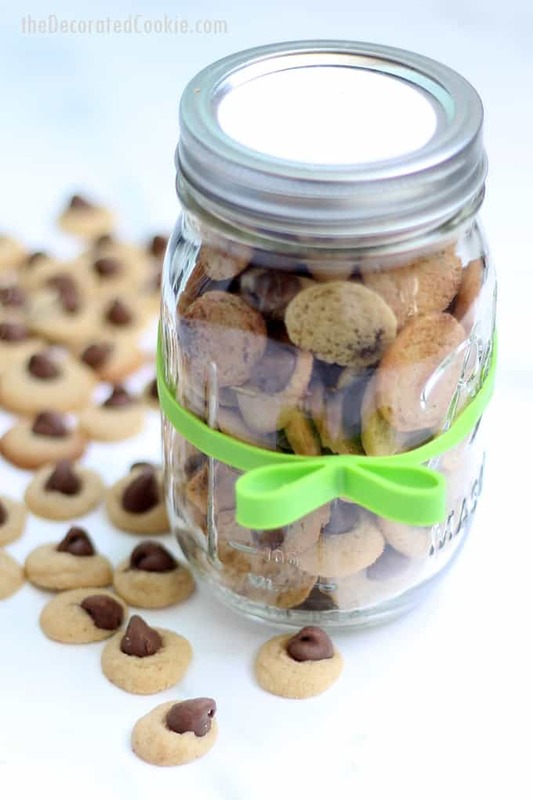 If you plan on shipping these cookies, be sure to fill the jar as full as possible so when you put the lid on and shake the cookies, you hear no movement at all. This will minimize breakage.